Hope you are having a day! 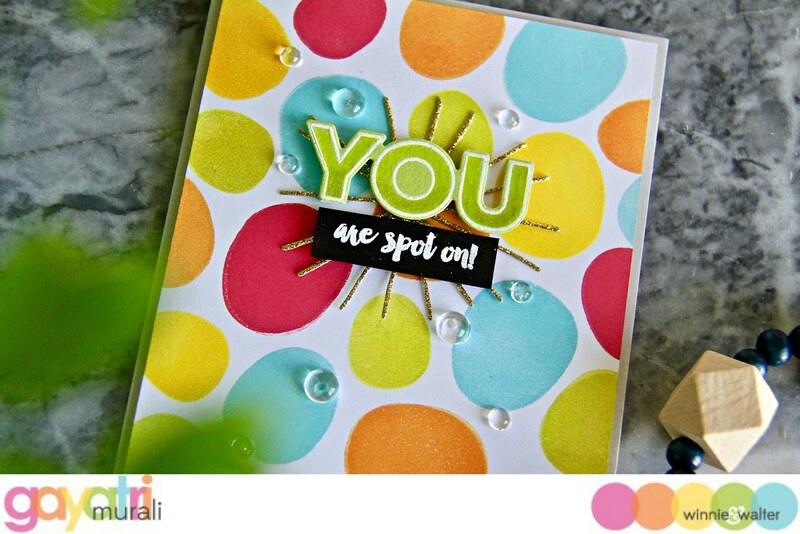 Today I am sharing with my second card using Winnie & Walter’s February release. I received the products late and hence I am sharing with you all my projects this month one every week. Here is my first card I shared last week. 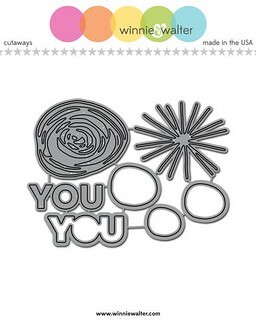 For today, I am sharing with you a card using the new Dolly About You stamp set and cutaway. 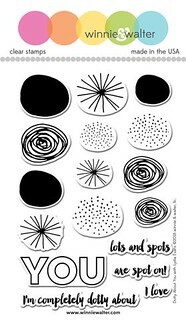 This stamp set is great to create backgrounds for card fronts. 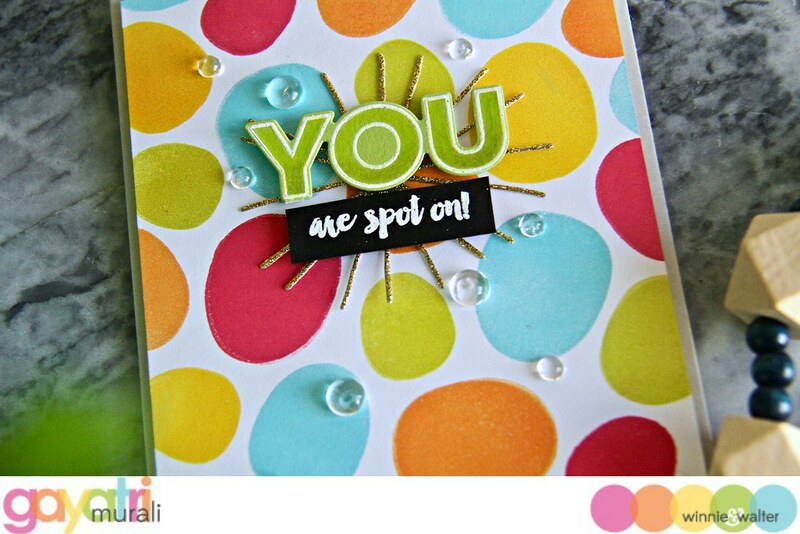 I particularly love the sentiment “You are spot on” So I used just the solid spots from the stamp set to stamp colourful spots on the background and used that particular sentiment. I used pigment inks from Mama Elephant and Avery Elle to stamped the colourful spots because pigment inks gives awesome even coverage and vibrant colour. I stamped them on white cardstock panel trimmed to 4″x5.25″. I adhered this panel on fog cardbase using foam adhesives. For sentiment, I white heat embossed the “YOU” on green cardstock. I picked the least colour used on the card front for this. Then die cut using the coordinating cutaway. To highlight the YOU sentiment a bit more, I shaded the inside of the outline using Prisma Color pencil in green colour. The secondary sentiment is white heat embossed on black cardstock strip. Before adhered the sentiments, I die cut the ray cutaway from the coordinating cutaway using gold glitter paper and layered behind the sentiments. The sentiment are adhered using foam adhesives for added dimension. I added clear droplets to embellish the card front. I love colourful this card turned out. All supplies used to make this card are listed below. Thank you so much for visiting my blog today! Hi, this is a useful website. I have shared it in my reddit. Thank you.